Our built-in patient engagement tool, ClearConnect, enables seamless, instant, scheduled and automated communication by text or email. ClearConnect sends automatic reminders that cost your staff zero time and effort but have a huge impact on reducing no-shows and late-notice cancellations. Your staff can stop calling patients for reminders all-together or only call when the patient has indicated that as their preference. 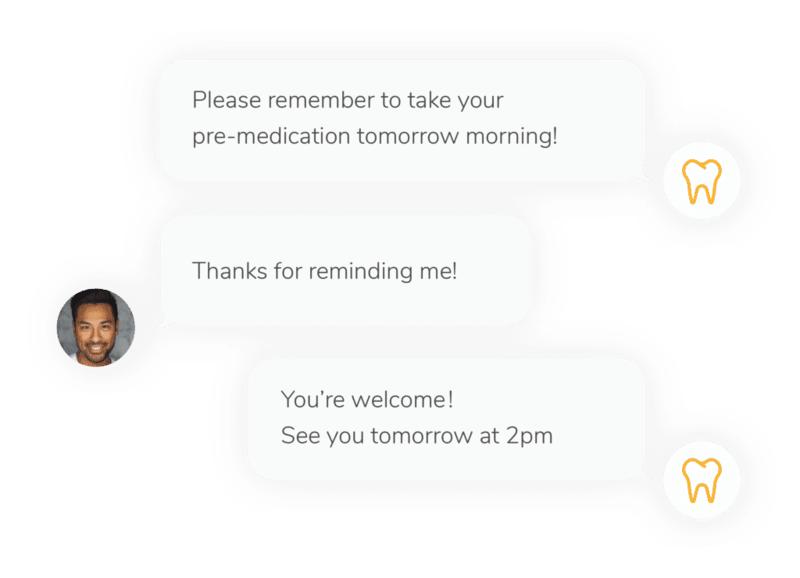 Text back and forth with your patients using a messenger-style system on your computer. Get quick answers, send reminders, or even offer an open appointment to a patient or group of patients. 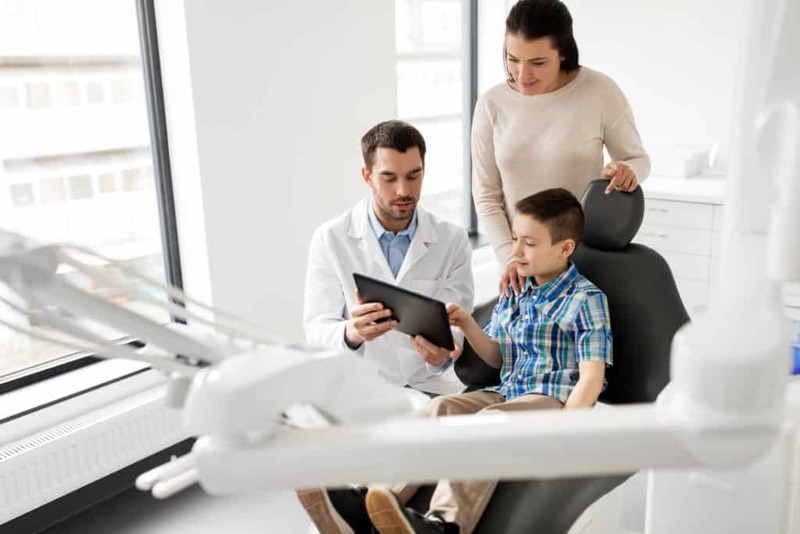 Every conversation is recorded and saved to the patient’s profile, but to your patients, it feels like they are just receiving a text message from their dentist. 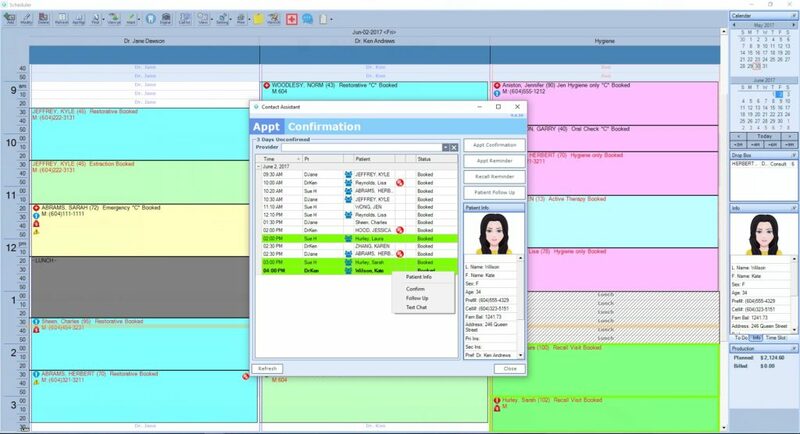 Filter your database to identify patients who have outstanding confirmations, need a reminder, are near or overdue for their next hygiene appointment, or are on your practice’s “to do list.” Never worry about patients slipping through the cracks. Contacting your patients isn’t only about what is easiest for you; it’s also about what is most likely to reach and influence your patients. Collect each patient’s preferred method of contact (email or text) and ClearConnect will automatically contact them using that method. Since starting to use the emailing system for recall visits our hygiene department has started scheduling 3-4 months in advance and our cancellation list to fill appointments is longer than its ever been.